Anna’s Movement & Corruption will be the major showcase in the Puja Pandals of Muzaffarpur. In different Puja Pandals ” Corruption will be showcased as “Rakchas” with the message of ” winning of “truth over evil” , i.e As Satyagrah wins over Corruption during Anna’s Movement. Kalyani Puja Samiti told muzaffarpurcity.com that this time, corruption is the major point and this must be showcased. Gola Road Puja Samiti will showcase their efforts against corruption. In Pankaj Market, Partima will be of Raj-Rajeshwari and a will have a look of Jhil Mahal. Sky War will also be presented between Maa Durga and MahisaSur. 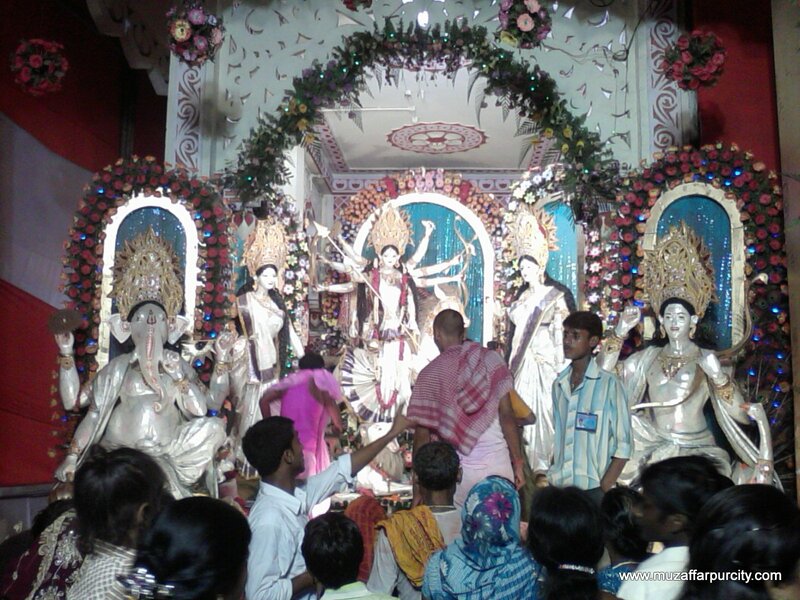 Pankaj Market Puja Samiti has told that, they are sure to win the Prize for best Puja Samiti, this year. (Prize are sponsored by Dainik Hindustan and Muzaffarpurcity.com). Agoriya Bazar will show Kalyanshawari Mandir of West Bengal. also, Dharamsala, Chatta Chowk, Kalambagh chowk and different chowks will also showcase their efforts on Durga Puja. 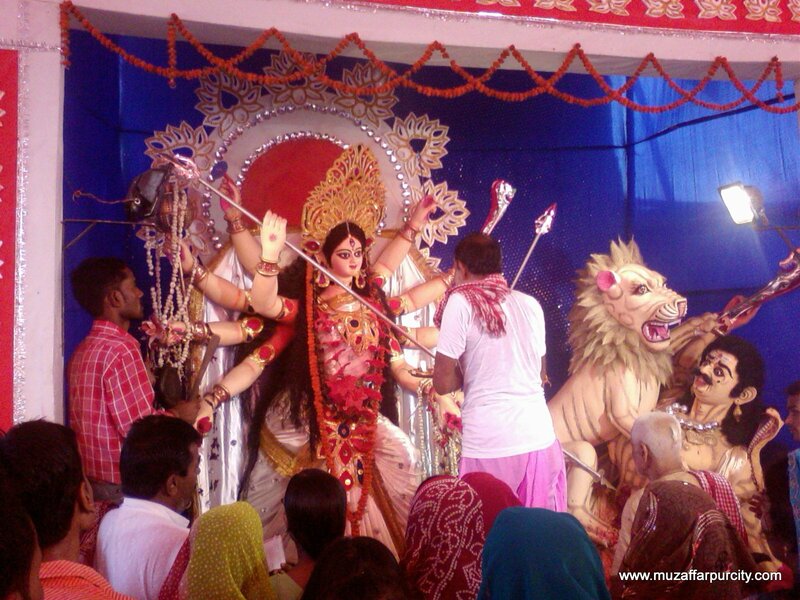 The People of Muzafarpur are too much exicted about this Durga Puja. Weather is nice Sunny, Hope it does not Rain, too Much.